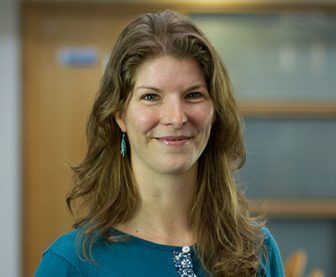 Dr Cassandra Phoenix is a qualitative researcher who uses narrative approaches, visual methods, and ethnography to explore the concept of ‘ageing well’. She is employed by the University of Bath and an Honorary Member at the Centre, having spent 5 years based here. Dr Phoenix is particularly interested in exploring the embodiment of ageing across the life course; the impact of ageing on self, identity, and well-being; intergenerational relationships; disability; and the ageing body within the natural environment. This work currently spans three complementary themes. The role of physical activity in shaping expectations and experiences of ageing. For example, current research is exploring how physically active older adults use their bodies to resist, reject and / or reinforce dominant narratives associated with the ageing process and the implications of this for ageing well. It is also investigating the determinants, barriers, and benefits of physical activity among older adults with late onset sight loss. The intersection of health, vulnerability and changing environment in the lives of older adults. For example, current research is combining narrative inquiry with the concept of structural vulnerability to examine older adults experiences of extreme weather events. The advancement of qualitative methods and narrative theory through the combined use of, for example, mobile methods, visual methods, narrative analyses and creative analytical practices as a means of understanding the interplay between self, society, continuity and change. Dr Phoenix is an Associate Editor for the Journal of Aging and Physical Activity and serves on the Editorial Boards for Journal of Aging Studies, and Narrative Works. She is an elected member of the British Society of Gerontology Executive Committee and invited member of the ESRC Peer Review College. MOVE: A Photographic Exhibition exhibited at the Royal Cornwall Hospital, Truro City Library and Eden Project Café.